A new title from indie developers Powerhoof has made its way to Steam Early Access. 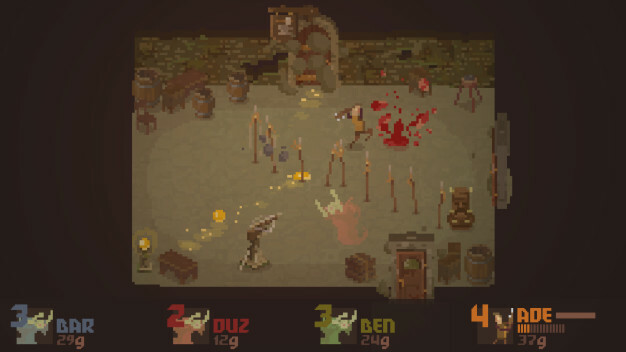 Crawl is a competitive multiplayer game where 3 players must use traps and monsters to take down a 4th hero player who is trying to make his/her way through a procedurally-generated dungeon. The game features a 30-level progression system as well as various monsters, traps, spells, and weapons to unlock. While online multiplayer is not entirely out of the question, especially considering the game’s early access release, Crawl only features local multiplayer in its current state. The alpha version of Crawl comes at a price of $9.99.